The jobs crisis has left so many people out of work for so long that most of America's unemployed are no longer receiving unemployment benefits. Early last year, 75 percent were receiving checks. The figure is now 48 percent – a shift that points to a growing crisis of long-term unemployment. Nearly one-third of America's 14 million unemployed have had no job for a year or more. Congress is expected to decide by year's end whether to continue providing emergency unemployment benefits for up to 99 weeks in the hardest-hit states. If the emergency benefits expire, the proportion of the unemployed receiving aid would fall further. The ranks of the poor would also rise. The Census Bureau says unemployment benefits kept 3.2 million people from slipping into poverty last year. It defines poverty as annual income below $22,314 for a family of four. Yet for a growing share of the unemployed, a vote in Congress to extend the benefits to 99 weeks is irrelevant. They've had no job for more than 99 weeks. They're no longer eligible for benefits. Their options include food stamps or other social programs. Nearly 46 million people received food stamps in August, a record total. That figure could grow as more people lose unemployment benefits. So could the government's disability rolls. Applications for the disability insurance program have jumped about 50 percent since 2007. "There's going to be increased hardship," said Wayne Vroman, an economist at the Urban Institute. The number of unemployed has been roughly stable this year. Yet the number receiving benefits has plunged 30 percent. Government unemployment benefits weren't designed to sustain people for long stretches without work. They usually don't have to. In the recoveries from the previous three recessions, the longest average duration of unemployment was 21 weeks, in July 1983. By contrast, in the wake of the Great Recession, the figure reached 41 weeks in September. That's the longest on records dating to 1948. The figure is now 39 weeks. "It was a good safety net for a shorter recession," said Carl Van Horn, an economist at Rutgers University. It assumes "the economy will experience short interruptions and then go back to normal." Weekly unemployment checks average about $300 nationwide. If the extended benefits aren't renewed, growth could slow by up to a half-percentage point next year, economists say. The Congressional Budget Office has estimated that each $1 spent on unemployment benefits generates up to $1.90 in economic growth. The CBO has found that the program is the most effective government policy for increasing growth among 11 options it's analyzed. Jon Polis lives in East Greenwich, R.I., one of the 20 states where 99 weeks of benefits are available. He used them all up after losing his job as a warehouse worker in 2008. His benefits paid for groceries, car maintenance and health insurance. Now, Polis, 55, receives disability insurance payments, food stamps and lives in government-subsidized housing. He's been unable to find work because employers in his field want computer skills he doesn't have. "Employers are crying that they can't find qualified help," he said. But the ones he interviewed with "weren't willing to train anybody." From late 2007, when the recession began, to early 2010, the number of people receiving unemployment benefits rose more than four-fold, to 11.5 million. But the economy has remained so weak that an analysis of long-term unemployment data suggests that about 2 million people have used up 99 weeks of checks and still can't find work. Contributing to the smaller share of the unemployed who are receiving benefits: Some of them are college graduates or others seeking jobs for the first time. They aren't eligible. Only those who have lost a job through no fault of their own qualify. 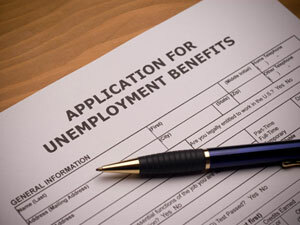 The proportion of the unemployed receiving benefits usually falls below 50 percent during an economic recovery. Many have either quit jobs or are new to the job market and don't qualify. Today, the proportion is falling for a very different reason: Jobs remain scarce. So more of the unemployed are exhausting their benefits. Federal Reserve Chairman Ben Bernanke has noted that the long-term unemployed increasingly find it hard to find work as their skills and professional networks erode. In a speech last month, Bernanke called long-term unemployment a "national crisis" that should be a top priority for Congress. Lawmakers will have to decide whether to continue the extended benefits by the end of this year. If the program ends, nearly 2.2 million people will be cut off by February. Congress has extended the program nine times. But it might balk at the $45 billion cost. It will be the first time the Republican-led House will vote on the issue.